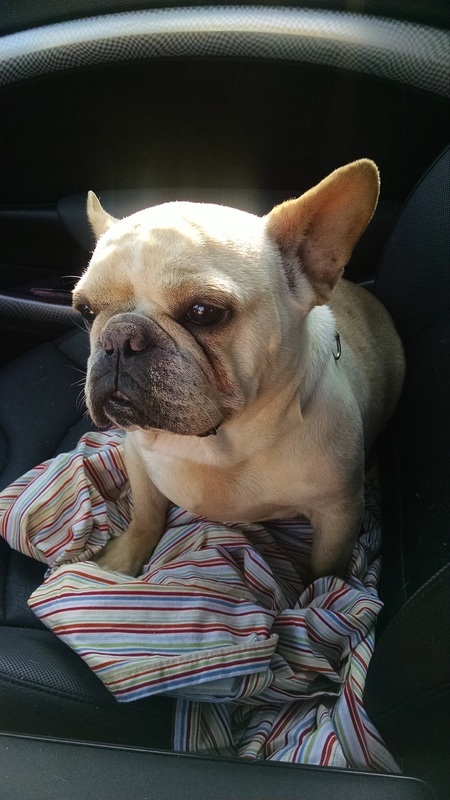 Please consider sponsoring Tilly the Frenchie to help with her medical bills. May 10 update: Tilly is not a big fan of the crate, and prefers to be near her people when it's time for bed. She is an excellent sleeper, and very quiet. Tilly ADORES people! She is your shadow. She insists being next to you on the couch or sits in whatever room you are in until you hit the couch. Although there are no young children in her foster home, she seems to do very well with kids of all ages at the events she has attended so far. Although she has done great with kids outside the home, she will need a home with kids 8+ since she came from a shelter & we don't know anything about her background. Tilly is an absolute joy. She walks great on a leash. She hasn't shown much interest in toys. I feed her in a crate since she did have one incident over food with one of my dogs. I don't think she has food aggression, but some guarding. When I treat, she waits her turn and has shown no aggression while waiting her turn. Now, the one issue we are having is housebreaking. Of course, being a mill girl, pottying outside is quite foreign to her. Mornings, of course, no problem. She will sometimes go when taken out, but has had lots of accidents and never signals. I am sure it will continue to be a work in progress for a while (not surprising). I can't say enough great things about this little gal. She is delightful. A fence is not a necessity, always nice though. When we go outside to our pasture for morning and evening runarounds, she hardly leaves my side. I think children would be nice for her. We get so many dogs in that can't live with children, it's nice when we get one that can. She is a jumper, so probably 6 and up would be best. 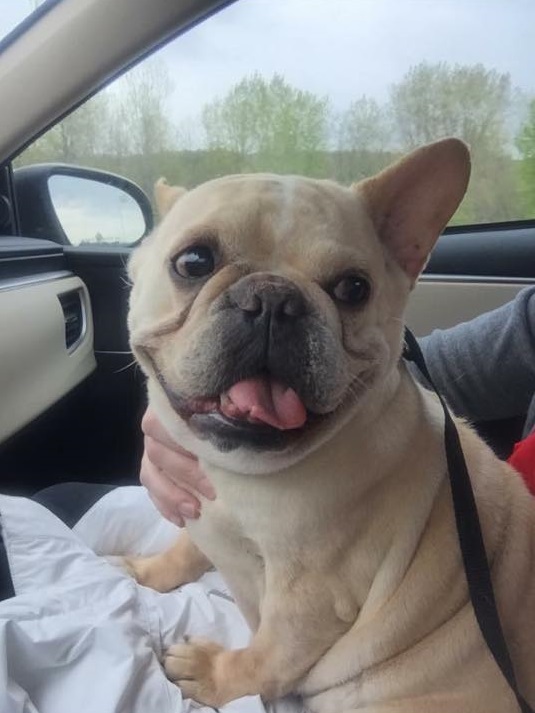 Intake info: Please meet Tilly the Frenchie! She was a breeder surrender to a shelter in Southern Ohio. They contacted us, and now here she is... what a doll! She is currently at our vet getting all checked out. We will post updates as they become available.